She Rishon LeZion (Ewnish: רִאשׁוֹן לְצִיּוֹן, "Y Chied gys Seion") y chiarroo chaayr smoo ayns Israel. T'eh soit rish thalloo rea slystagh Israel 12 km çheu yiass veih Tel Aviv. T'eh soit ayns ard moirvaljagh Gush Dan. 'Sy vlein 2011 va 232,410 deiney cummal 'sy chaayr. 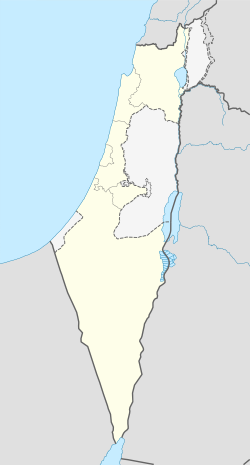 Va'n chaayr bunnit 'sy vlein 1882 ec arreyderyn stiagh Ewagh veih'n Oarpey, as by ayn va'n nah valley gowaltagh ayns Eretz Israel currit er bun, lurg Petah Tikva. Ta tooilley coadanyn mychione Rishon LeZion ry-gheddyn ayns Wikimedia Commons. Hie yn duillag shoh er ny reaghey er 6 Jerrey Souree 2013, ec 16:08.